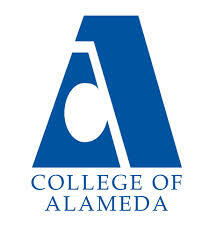 College of Alameda (COA) is one of four Peralta Community Colleges. The Peralta Community College District was established in 1964 with its roots in the history of public education in Oakland. The name Peralta reflects the Spanish land grant to Sergeant Luis Maria Peralta in August 1820 of Rancho San Antonio, upon which the six cities that comprise the Peralta Community College District are now located. We primarily serve the residents of Alameda, Albany, Berkeley, Emeryville, Oakland and Piedmont. The Vision of College of Alameda is that we are a diverse, supportive, empowering learning community for seekers of knowledge. We are committed to providing a creative, ethical and inclusive environment in which students develop their abilities as thinkers, workers and citizens of the world. 555 Ralph Appezzato Memorial Pky.